Who are we ? - Site de maisondafrique ! 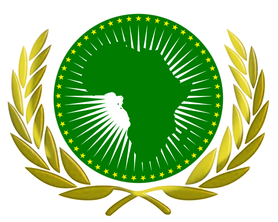 The House of Africa : a mainstay of Afro-Luxembourg integration ! Fight against poverty and root people out of the vicious circle it creates, through mutual aïd initiatives for the creation of micro entreprises and the training of vulnerable populations. Implementation of a support network to development through micro-finance institutions. The learning of the Luxembourg language. The values we defend put a premium on human dignity. Social ties are creator where everyone can share its culture in the diversity of opinions or origins in a " live together" approach. Intercultural which promotes differences through meetings, exchanges the partnership and social mixity of culture and opinions. Of social cohesion that will enable the society to open to other to build and to look for a strong synergy within the society. Of citizenship which aims at playing a key role in the construction of a society itself to other intercultural and with no discrimination. Promoting diversity, mixity, reconciliation, understanding and tolerance between communities. Creator and director of projects advocating brainstorming, exchange, interaction and the creation of synergies between people from diverse backgrounds. Free access to education to social inclusive wellbeing by forging links with home countries, in terms of diaspora’s valorization for co-development projects. Innovation in the appraisal of the needs or in ways of intervening. 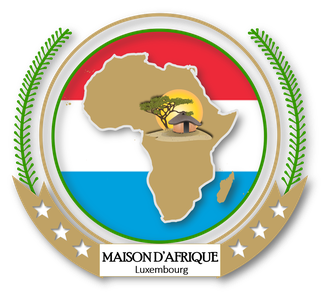 The Maison d'Afrique Luxembourg is thus a cooperation tool for citizen from immigration. The reciprocity, the subsidiarity, and the complementarity where everyone has its identity of which the networking promotes field's action and ways to meet afro-Luxembourg needs. Empowerment through research and inputs resources, the Maison d'Afrique Luxembourg does not replace but, longs to boost the associative dynamic. To be a civil society stakeholder as far as social stakes are concerned. To be a stakeholder in immigration policies along with being an actor of willing full return of African diaspora. To be a platform of listening of dialogue of brainstorming and exchange between citizen from various backgrounds. The Maison d'Afrique Luxembourg contributes to the emergence of a new approach in an inclusive world for the valorization of a society where racial inequality is no longer an impediment, it has no place in political and social concurrence, in the new citizen's contest. It involves itself in the political and intellectual world for the emergence of a new pan African collective consciousness which bourgeons more and more on the international and local area in an innovative, structuring, spurring and anti-racist and open way.